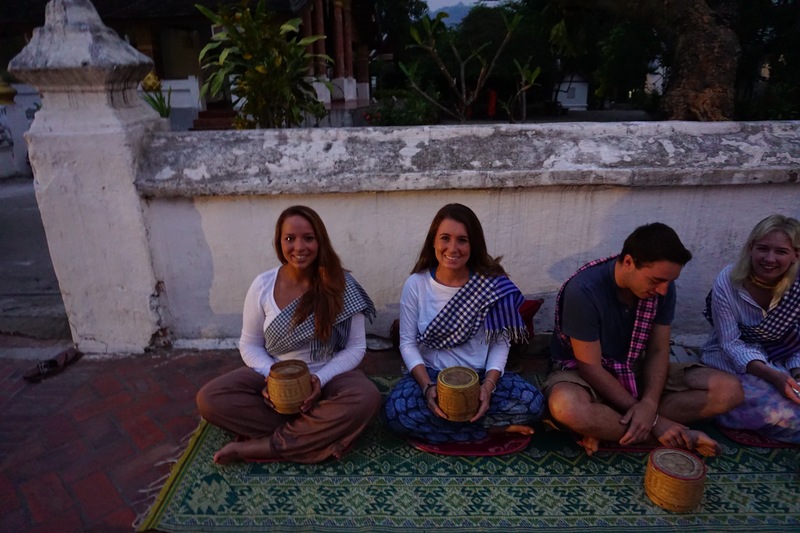 This country is a hidden gem of untouched culture that is visited by many young backpackers. 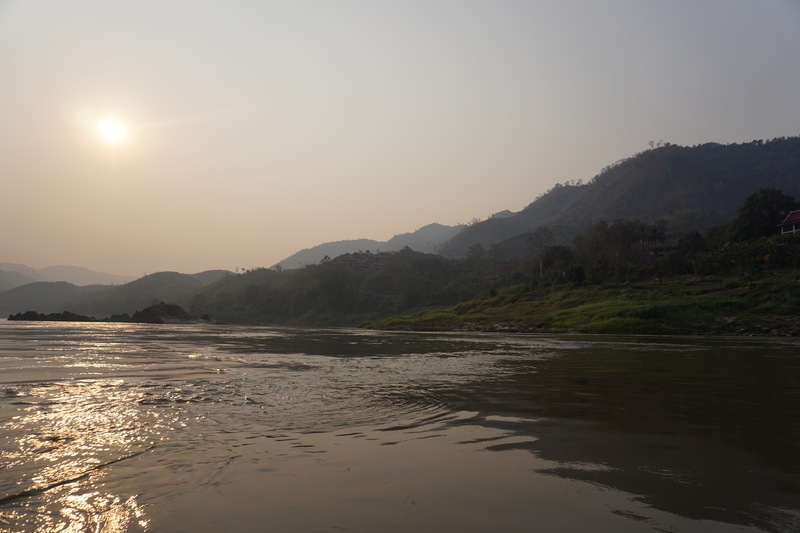 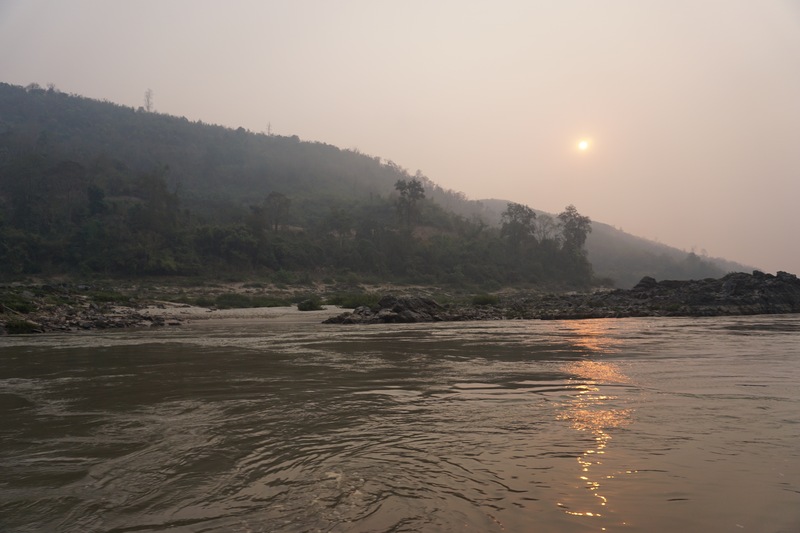 Floating down the Mekong River, passing by water buffalo and villages of huts that line the hillsides, the beauty of this natural country is one of its own. 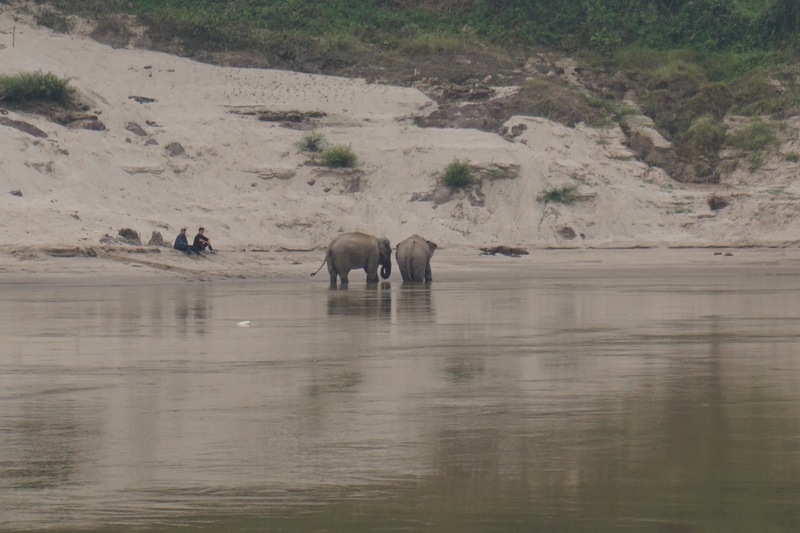 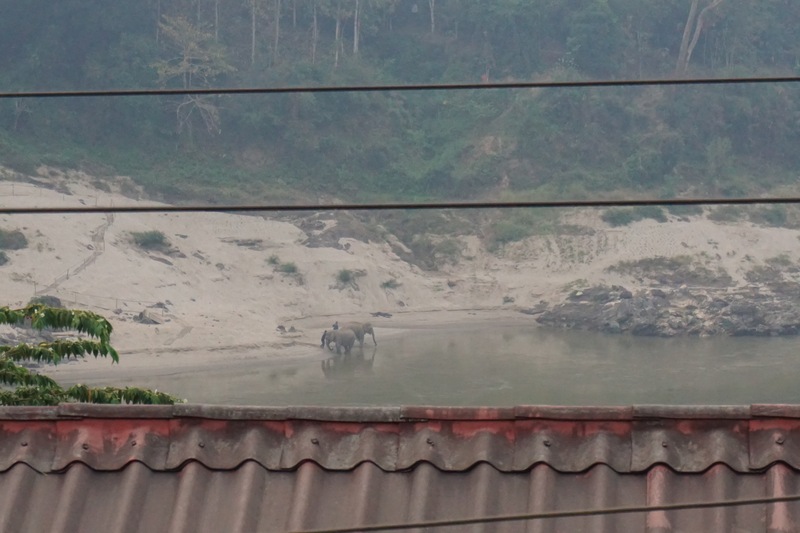 Watch for local villagers bringing elephants down to play in the water. 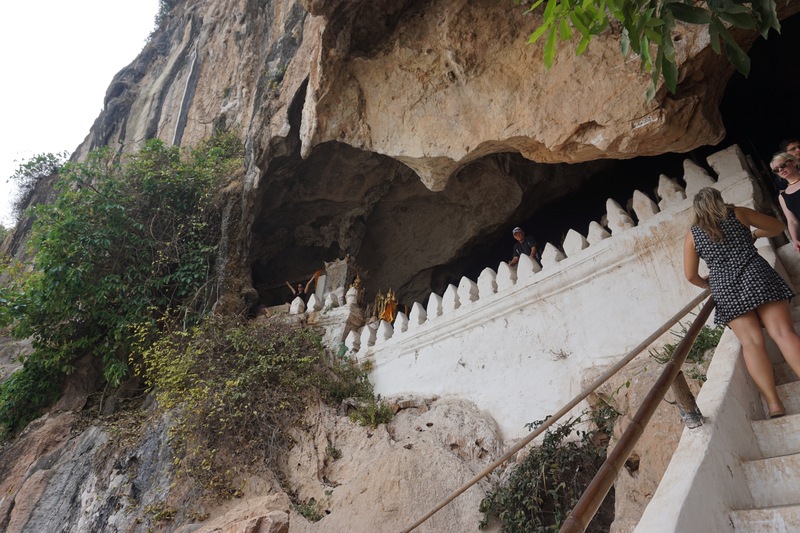 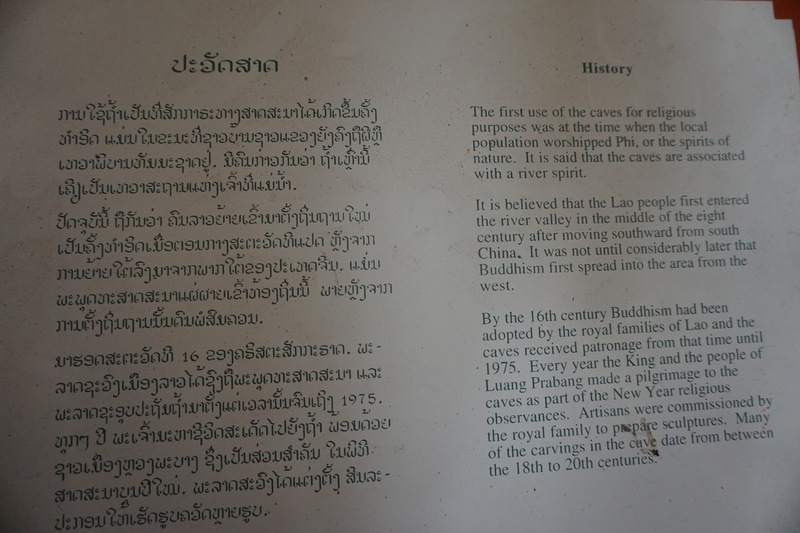 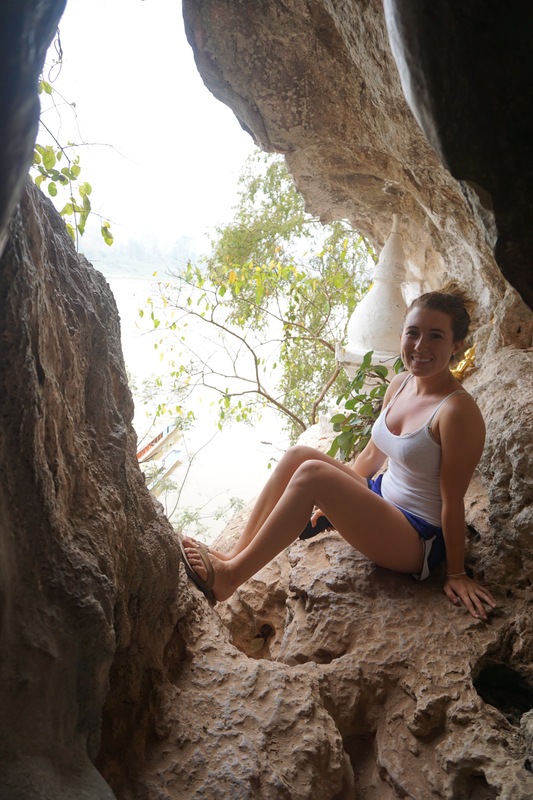 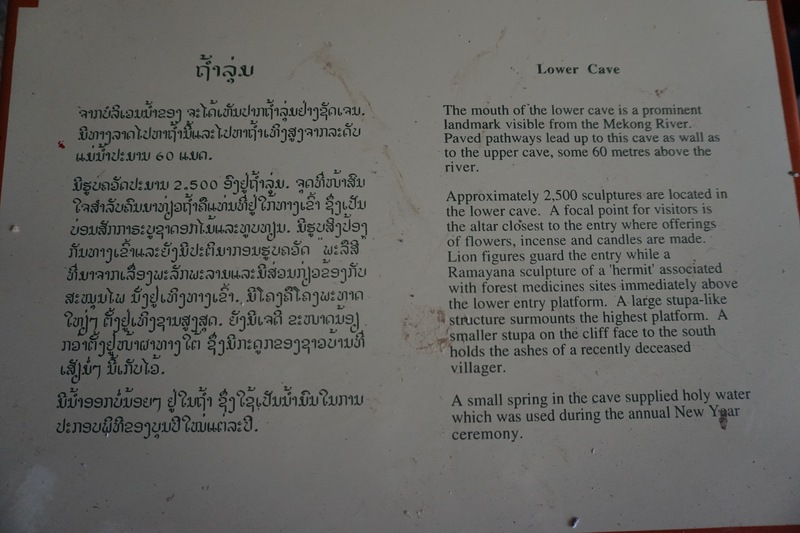 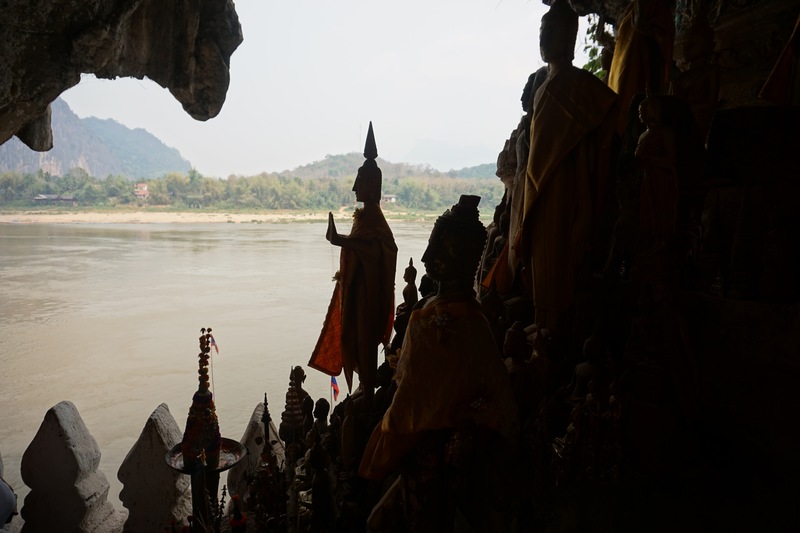 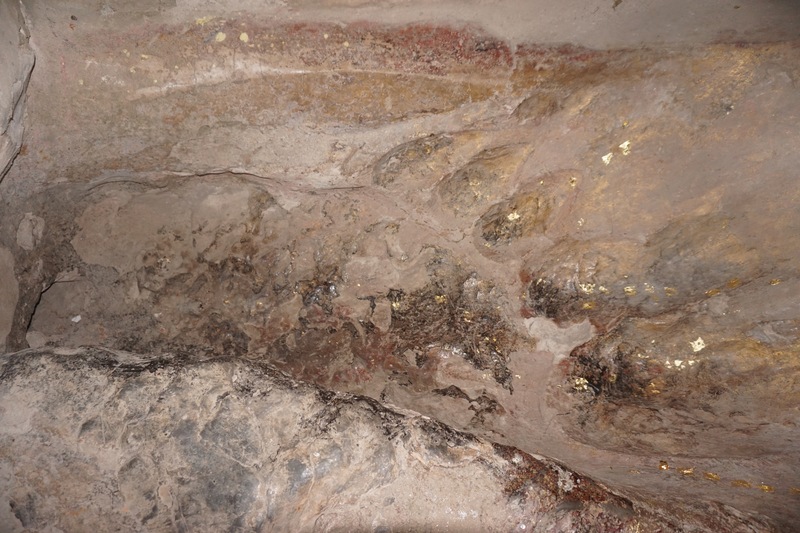 Ancient religious caves, such as the Pak Ou caves, hide on the riverside. 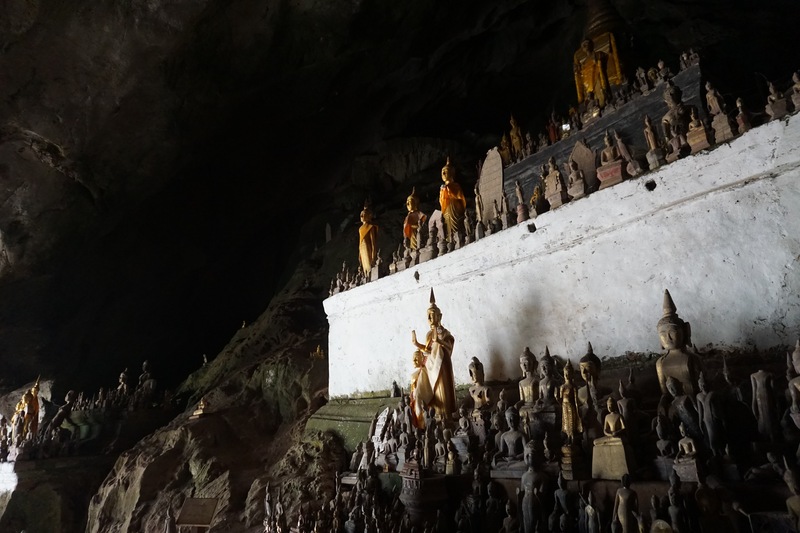 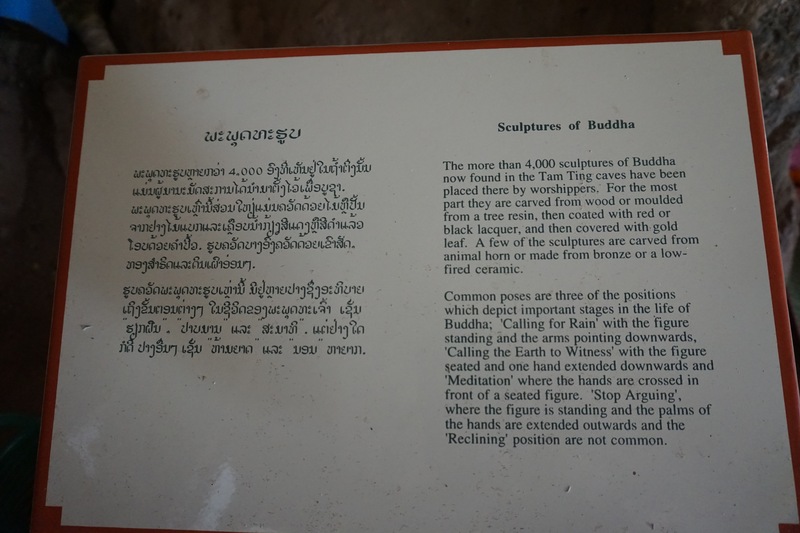 These caves are sacred areas of worship honoring river spirits, and the one I visited, Tim Tang Cave, was full and I mean FULL (more than 4,000) of Buddha statues and symbols. 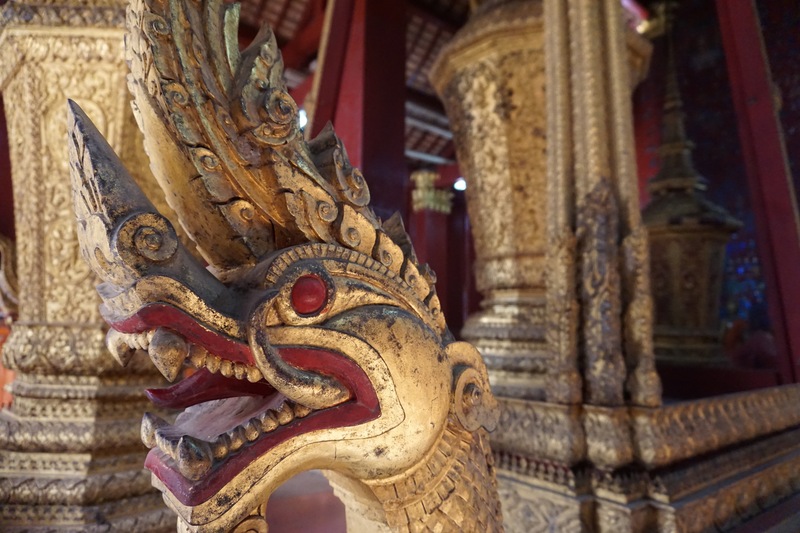 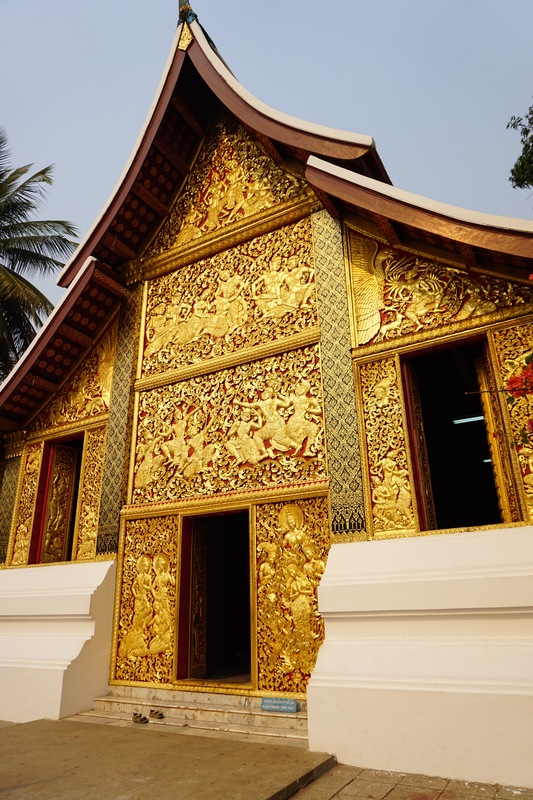 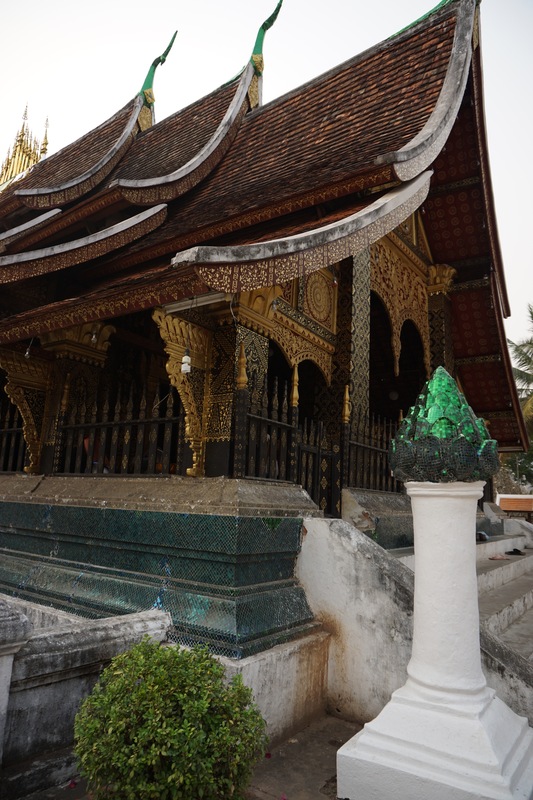 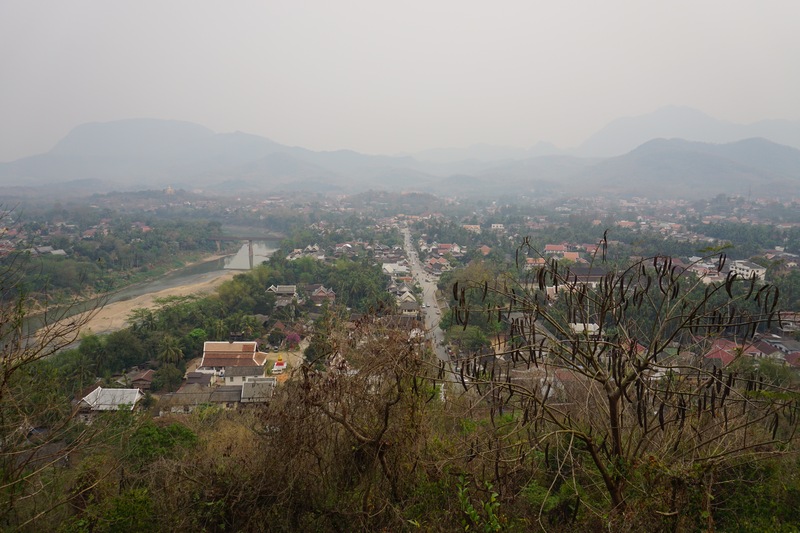 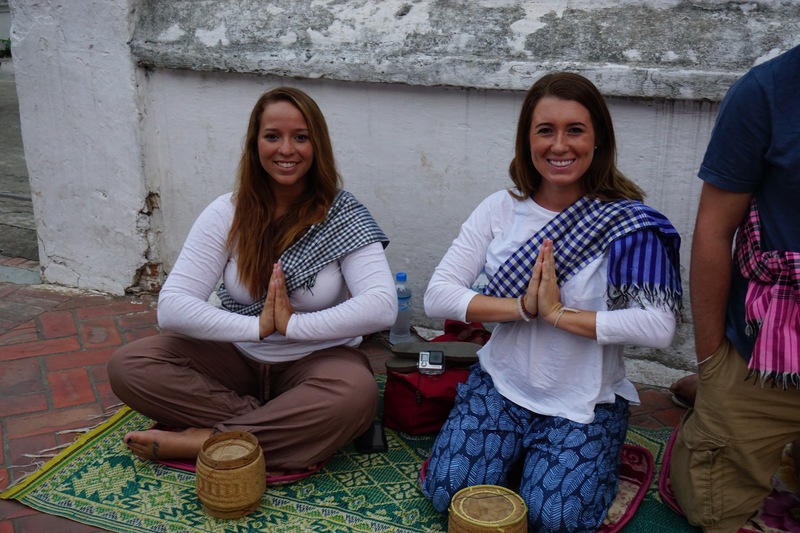 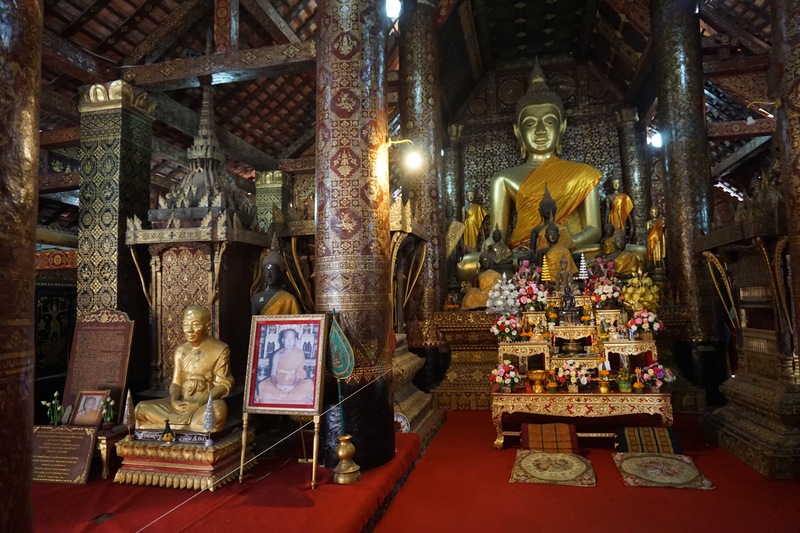 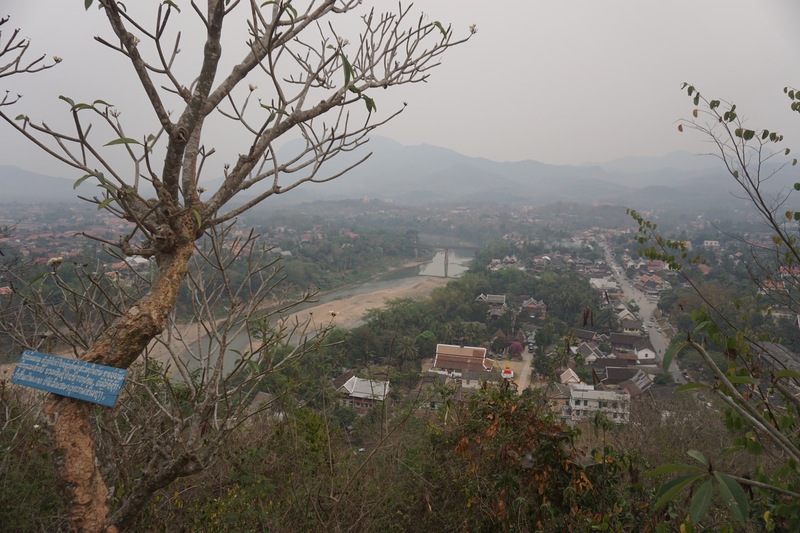 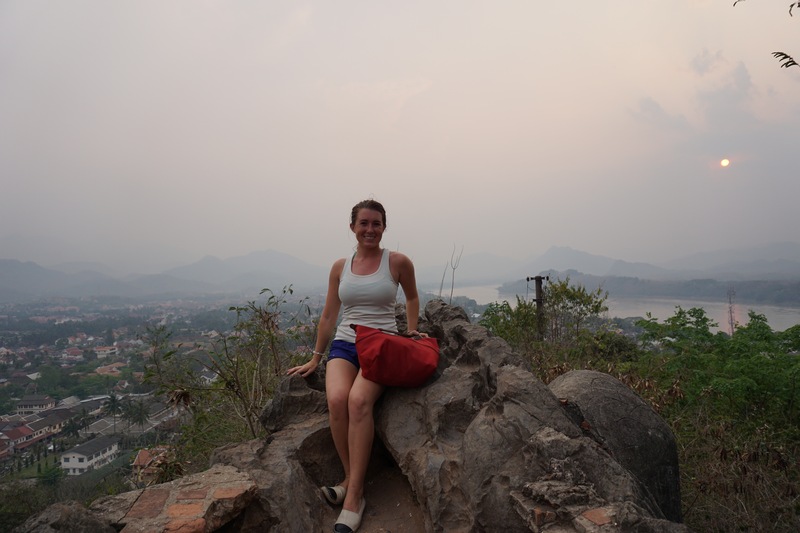 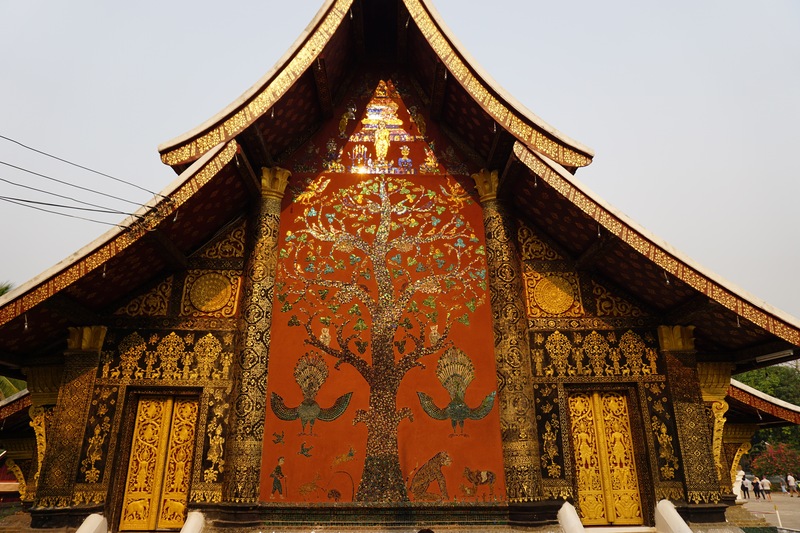 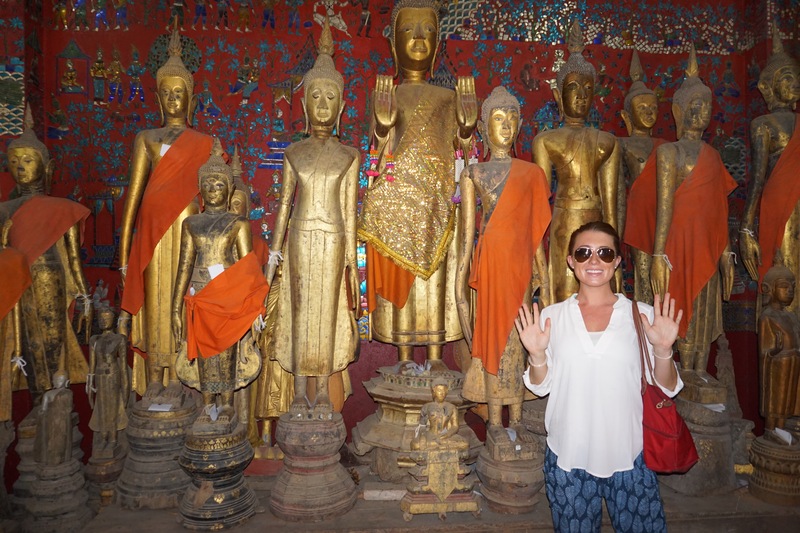 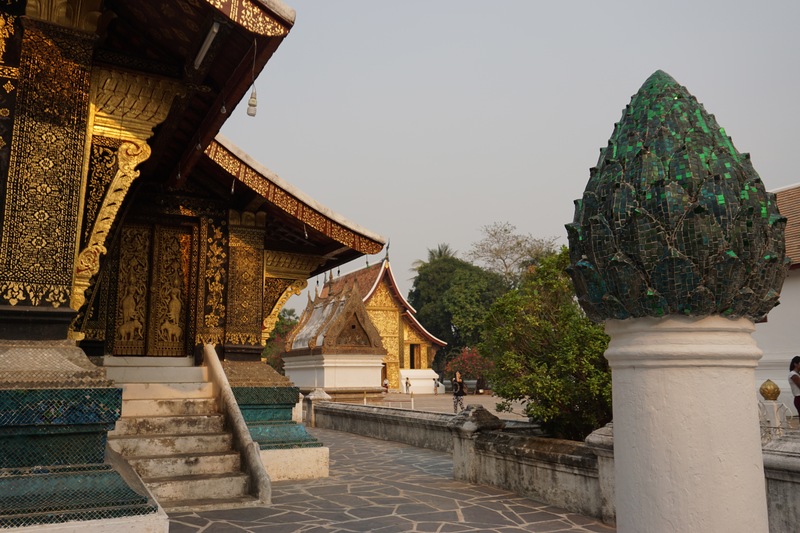 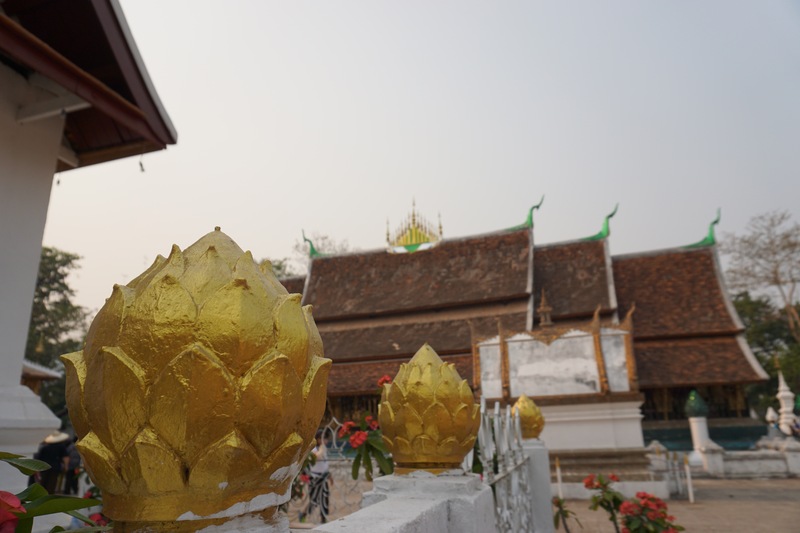 Reaching Luang Prabang, where today meets the historic Laos, take advantage of the beauty of the temples (make sure to wear appropriate clothing – covering shoulders and knees and removing shoes) or Carpe Diem and hike Mt Phu Si, viewing Luang Prabang from 360 degrees. 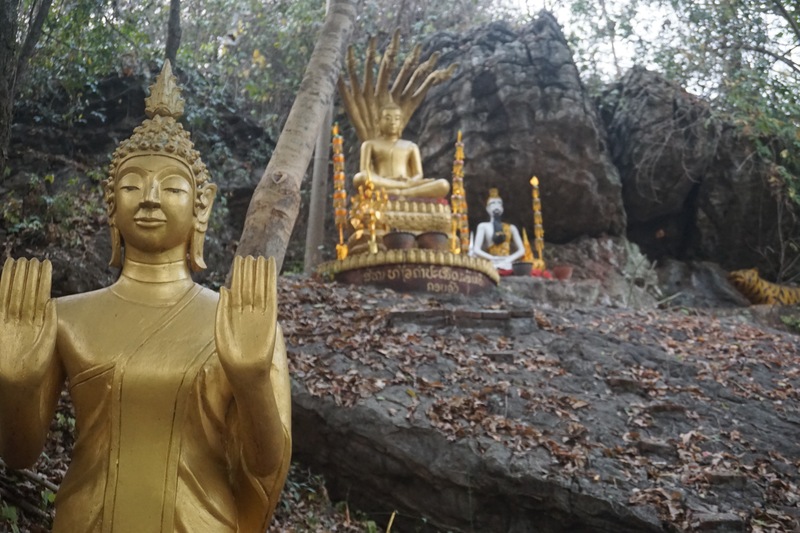 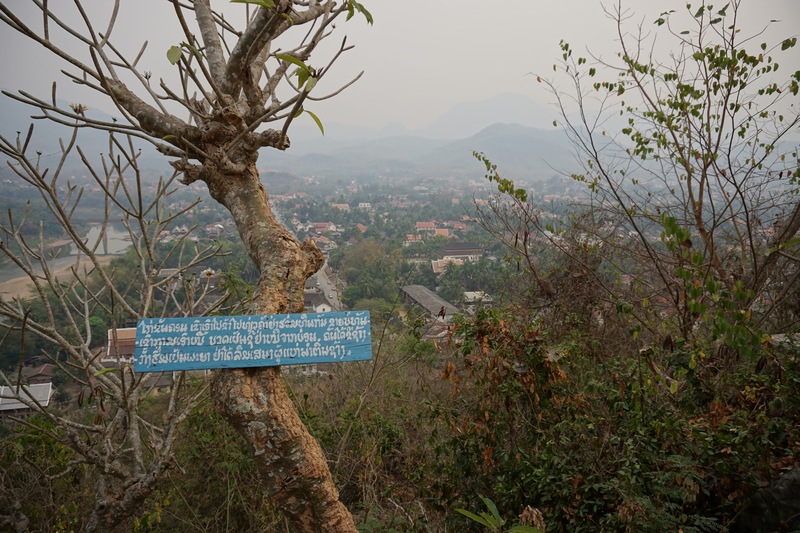 Atop Mt Phu Si, along with the many Buddha statues, follow the pathway to see the sacred Buddha footprint in the rock-side. 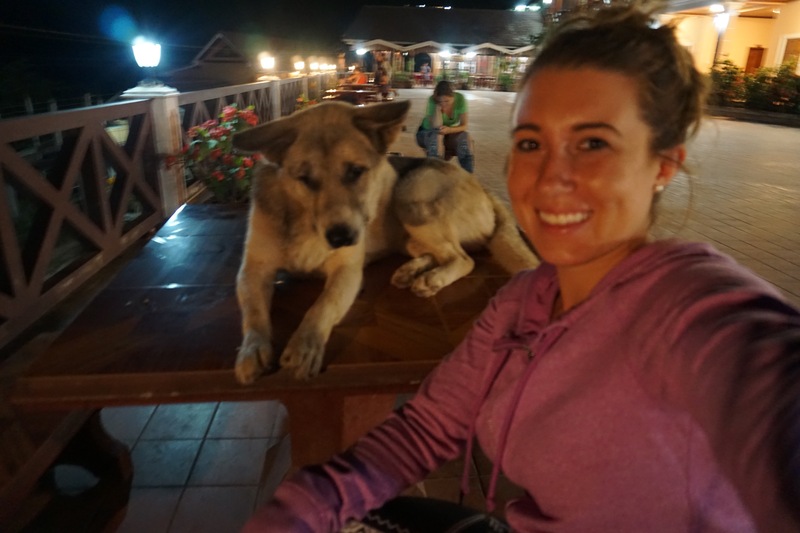 Or ride a bike through the town. 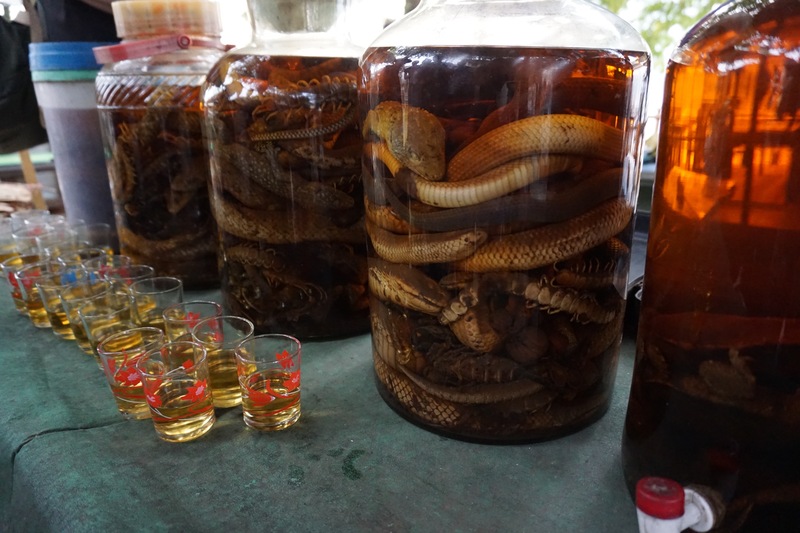 Be more daring than I was, and take a shot of snake whiskey – made up of fermenting snakes, insects, scorpions, centipedes, lizards, etc. 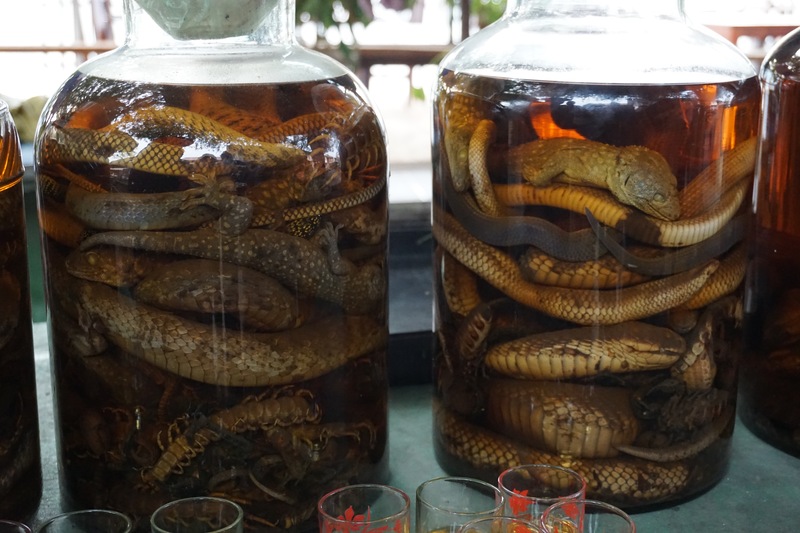 with some herbs and rice wine. 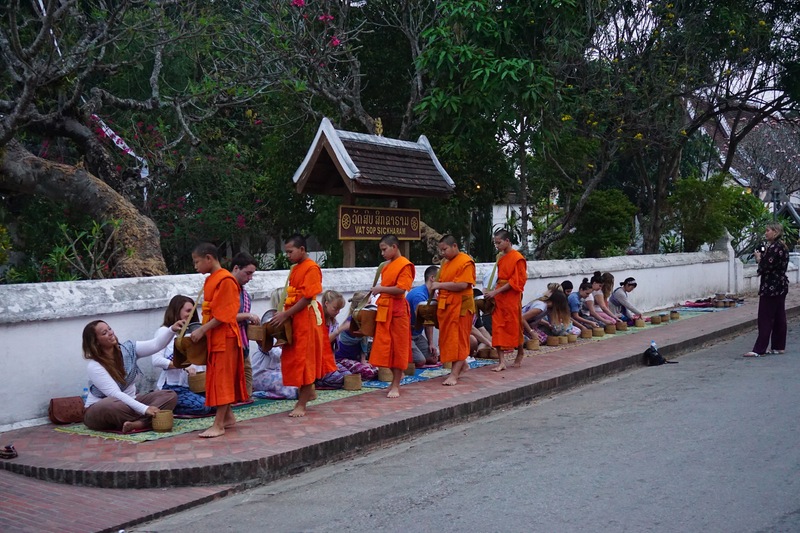 Participate before sunrise in the ritual giving of the alms at the monks’ procession – at 5:30 AM the people here wake up to perform the offering of the alms to the monks. 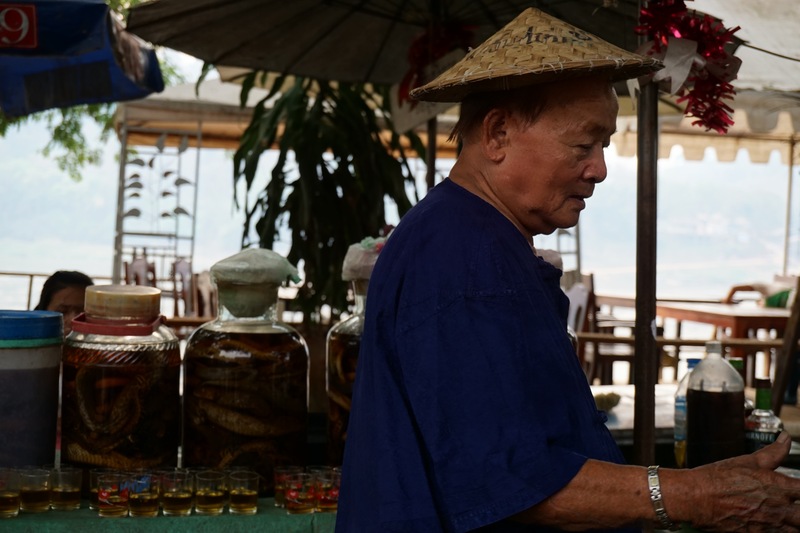 Some offer rice (as we did), others offer chocolate bars, flowers or money. 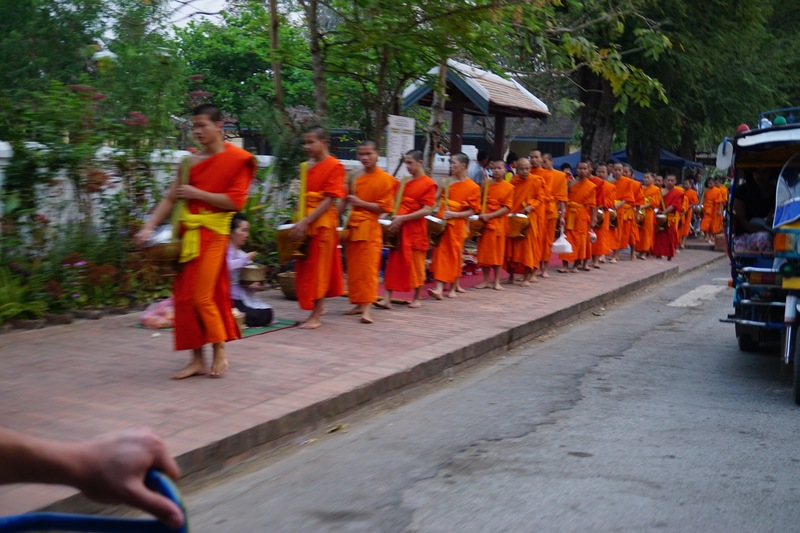 This provides most of the monks’ food for the day, as they are allowed only two meals that have to be eaten before noon. 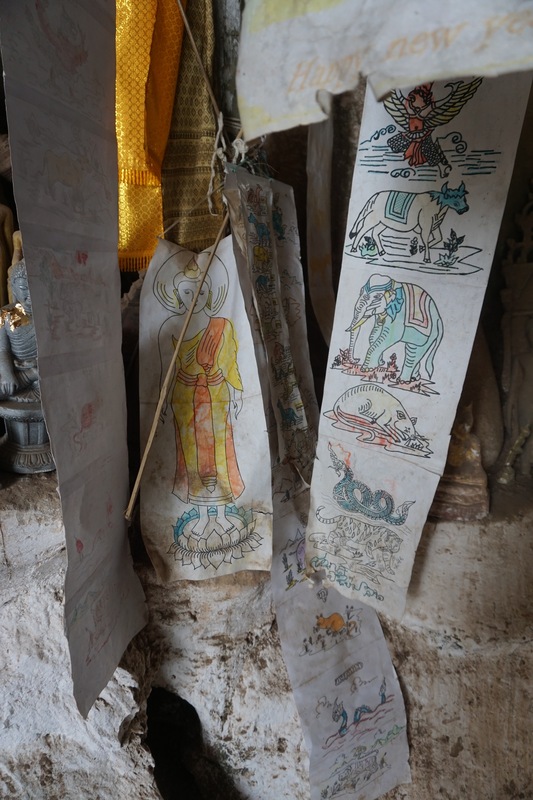 There is no exchange of thank you’s, as this is not seen as an act of charity, but instead the giving and receiving of the alms is creating a connection between the citizens and the monastic. 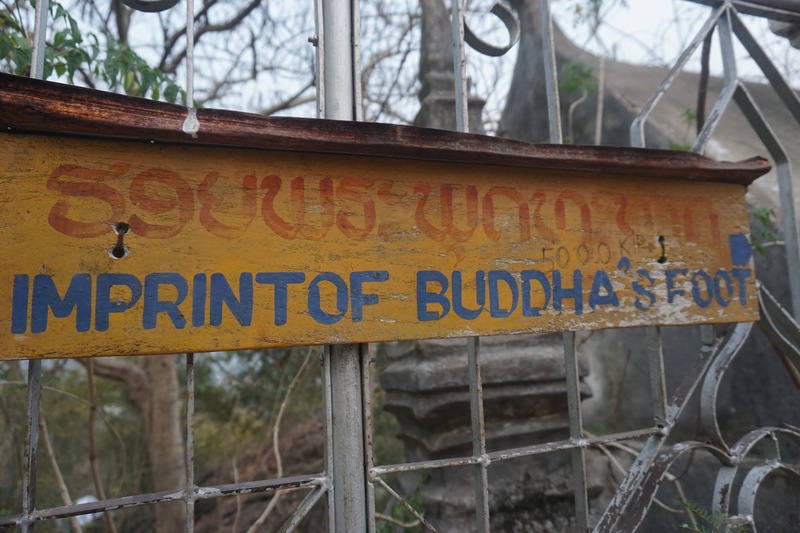 The citizens are responsible for supporting the monks physically, as the monks are responsible for supporting the citizens spiritually. 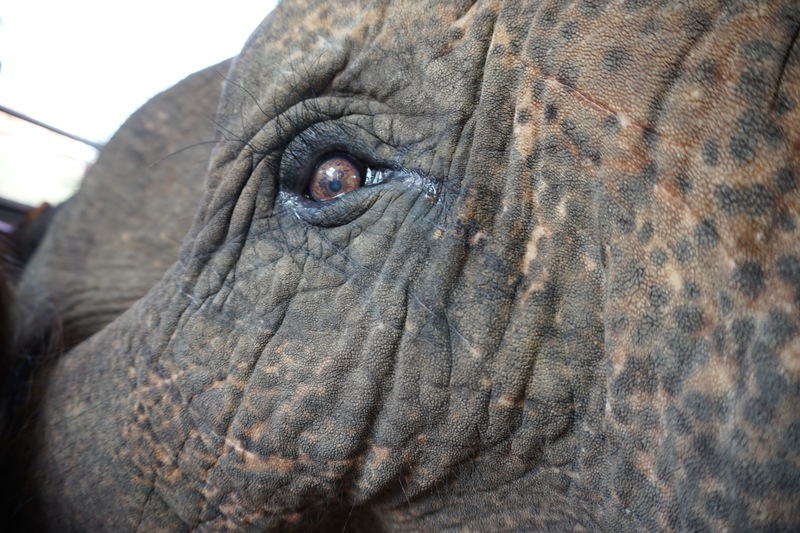 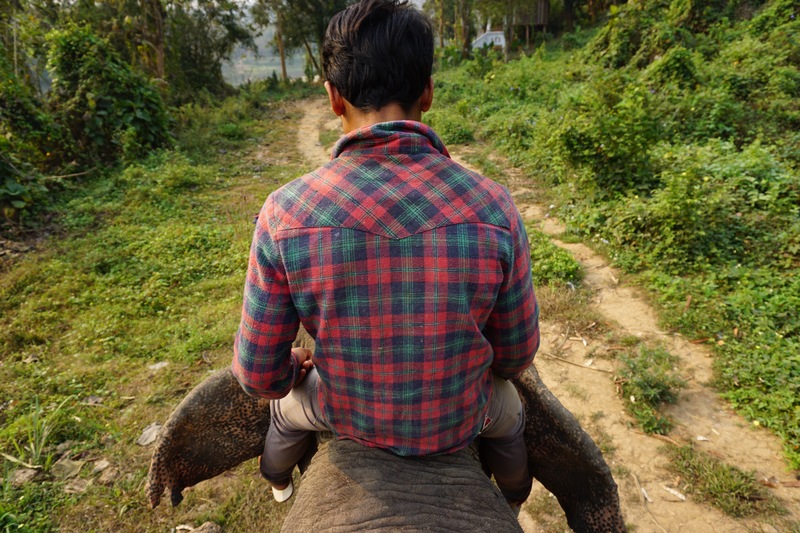 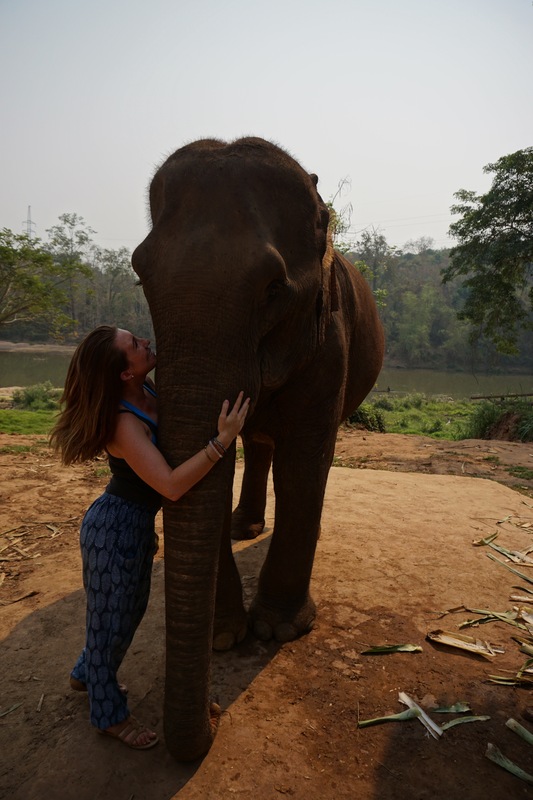 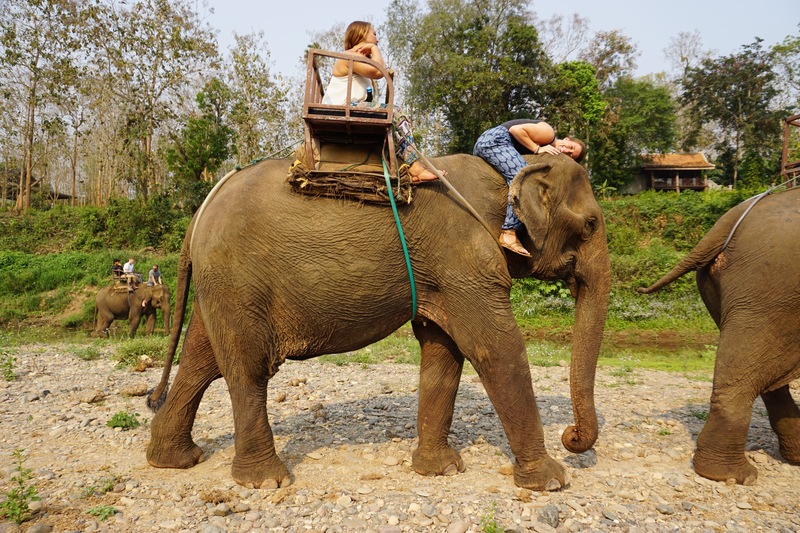 Connect with elephants like you never knew was possible in Luang Prabang, Laos. 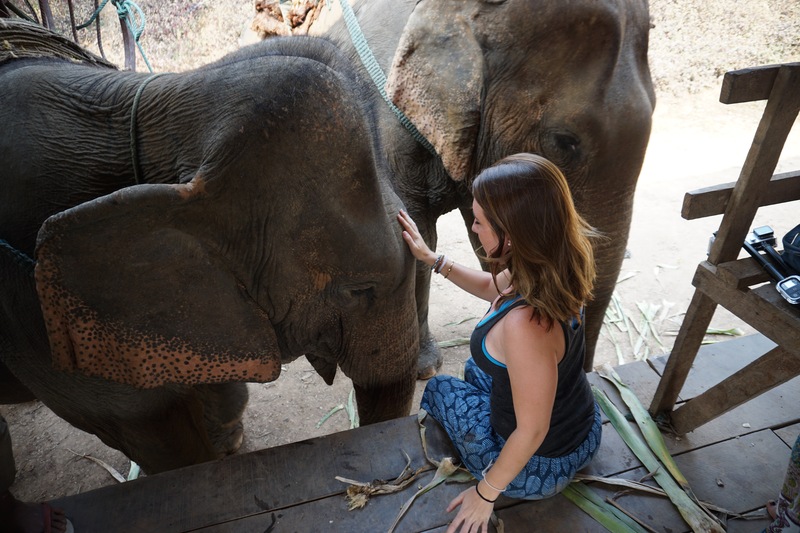 Ride them into the water, feed them bananas, immerse yourself in the beauty of these giant, loving creatures. 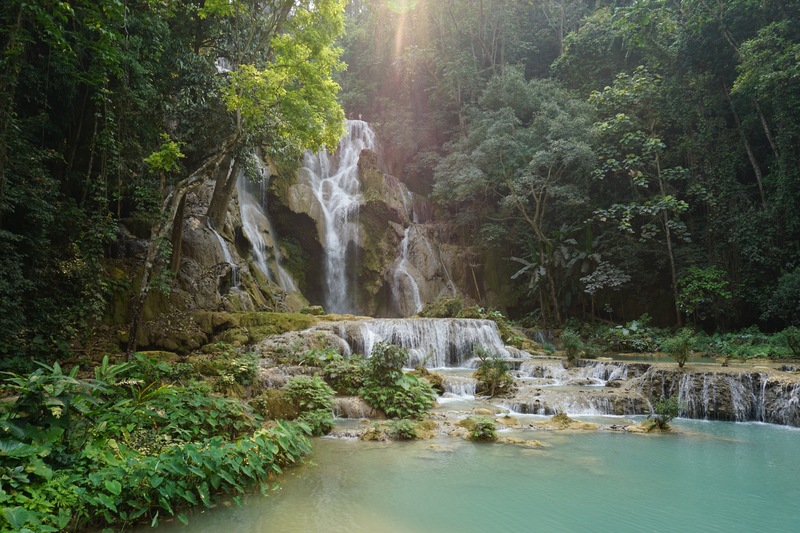 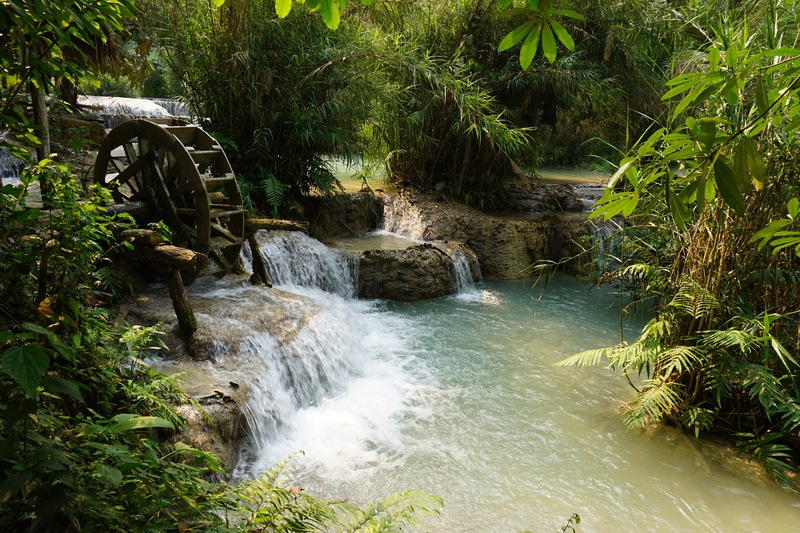 Be mesmerized by more of the natural beauty of Laos when you stop at the Kuang Si Falls. 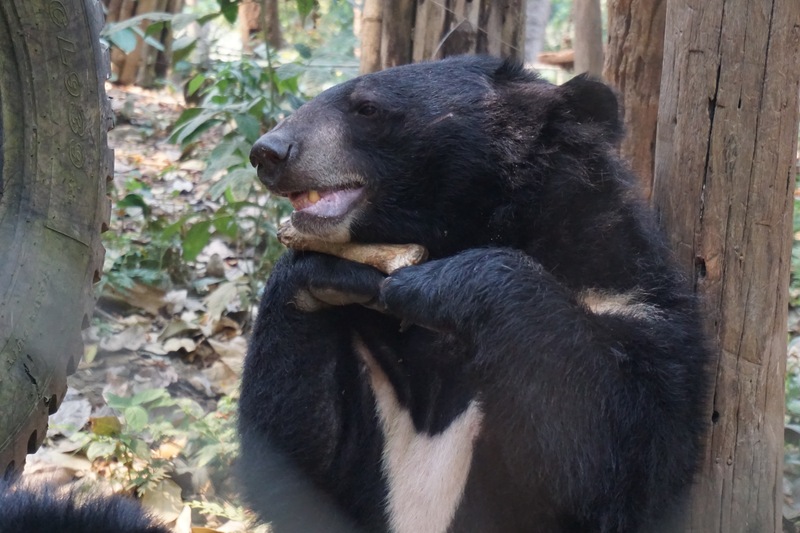 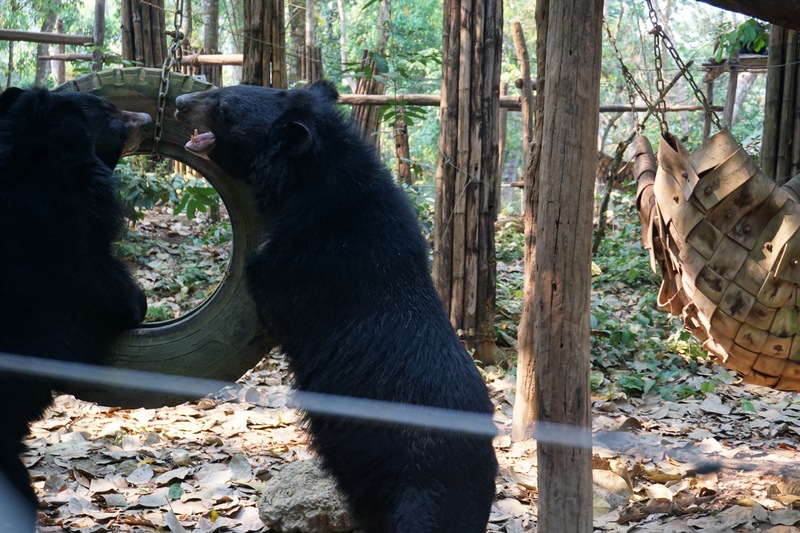 The path up to the falls lead past the Bear Rescue Centre where playful bears roam in their big cages. 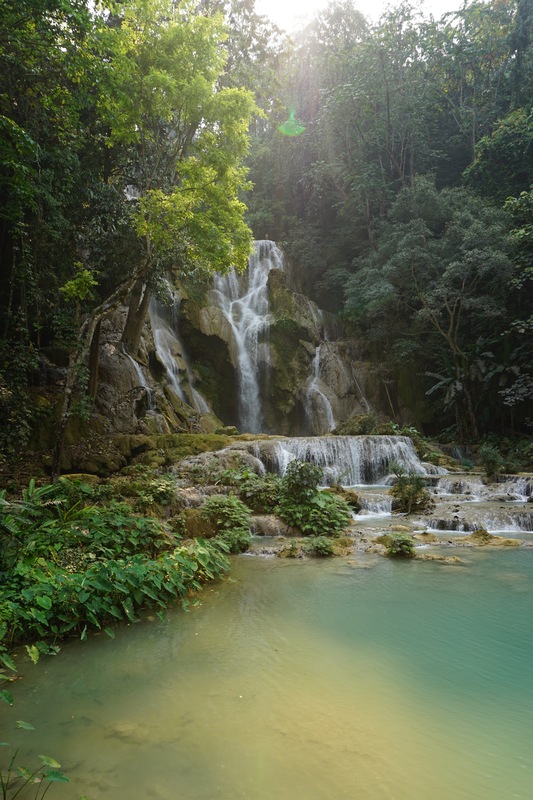 Bring your camera and bathing suit! 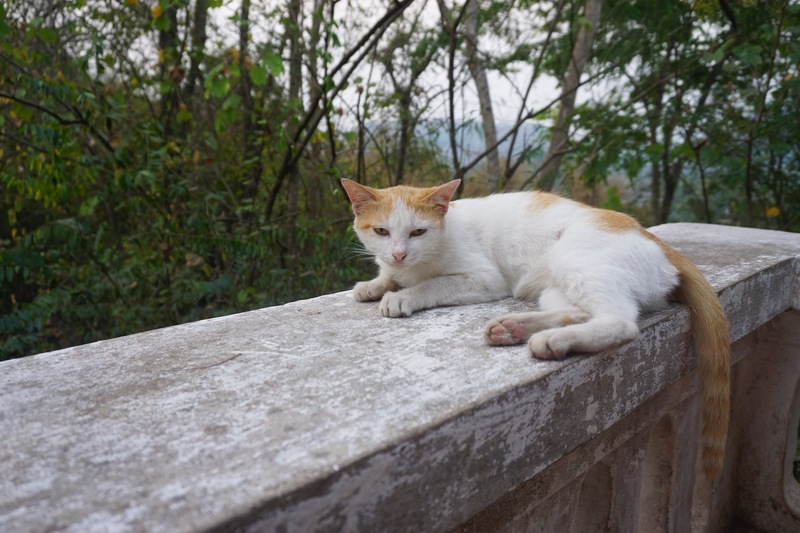 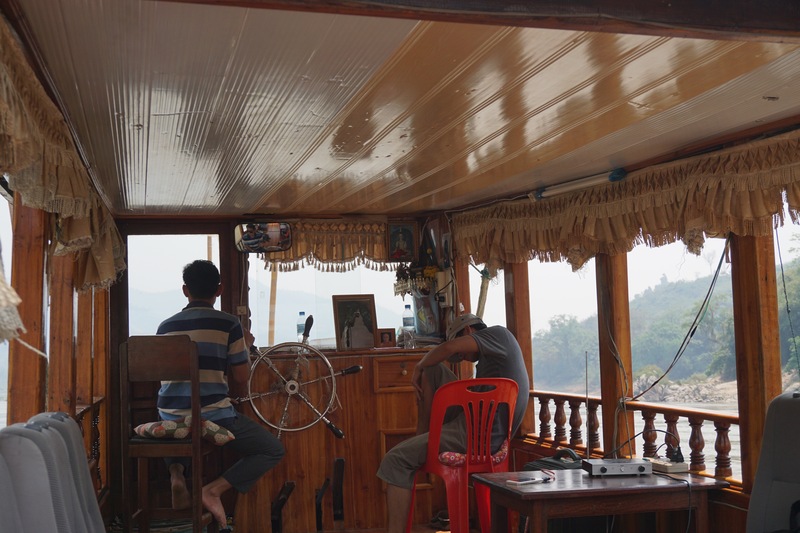 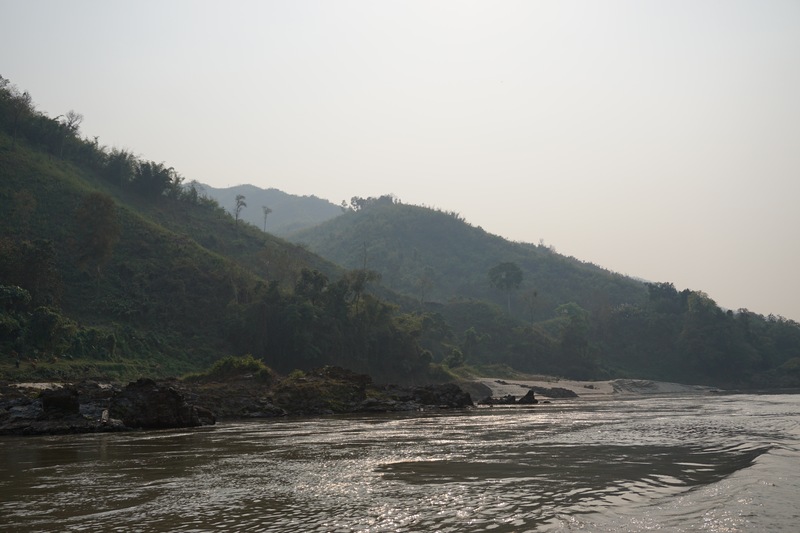 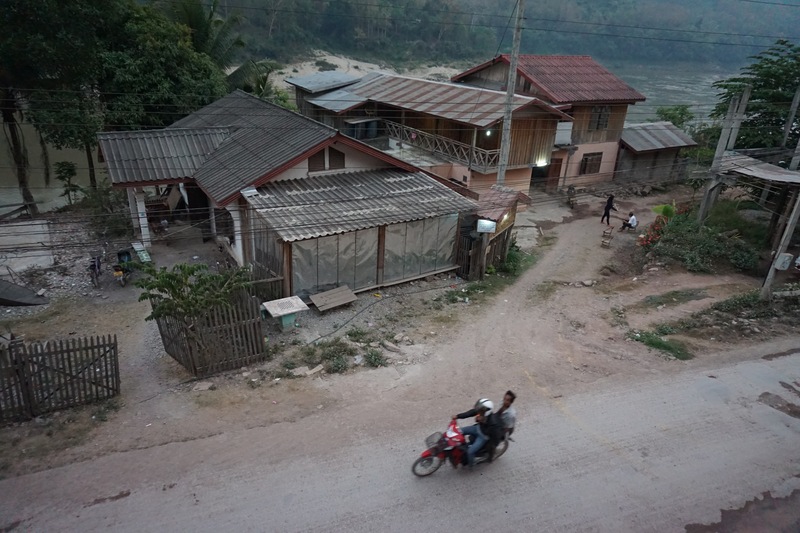 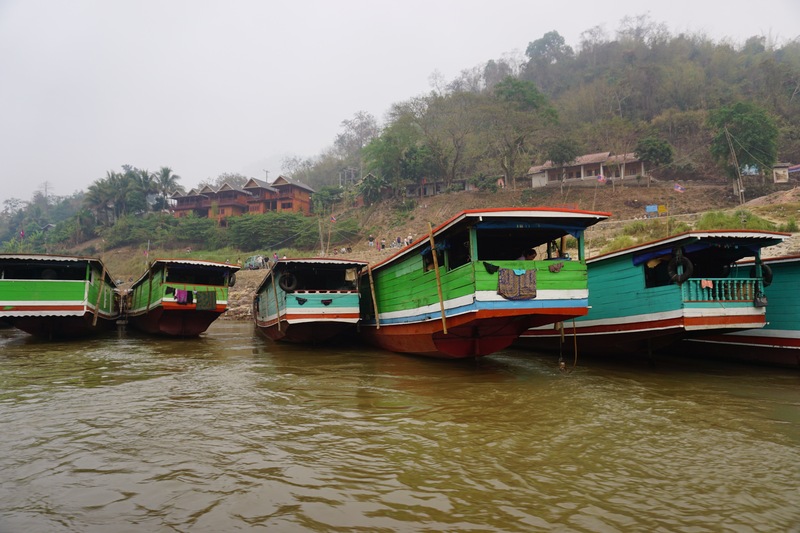 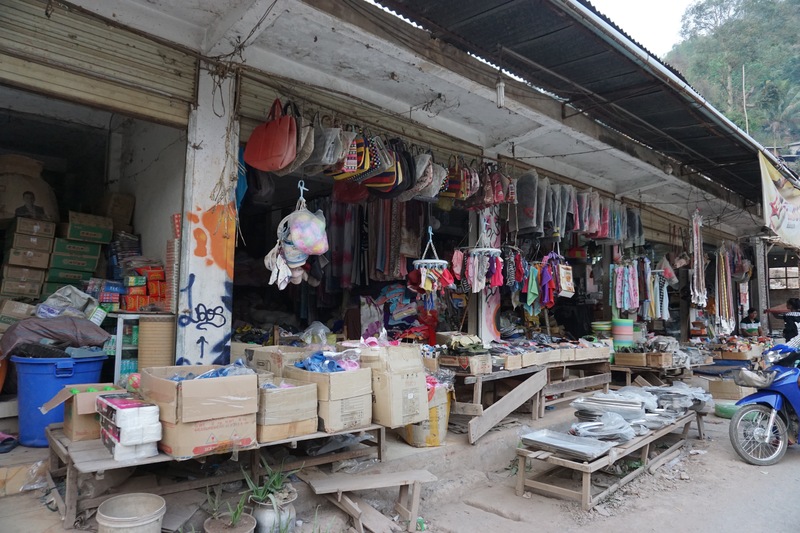 My Can’t Miss Moment: Stopping for a night in Pakbeng, a remote village on the side of the Mekong River. 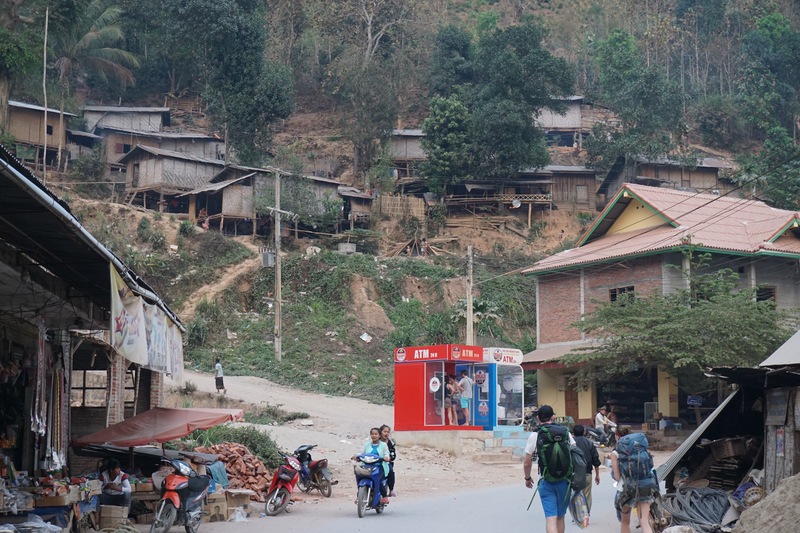 In this place, a modern, red ATM machine stands in stark contrast to the spectrum of the brownness of the wooden shops, restaurants and single dirt road leading to the small huts that stand on stilts on the hillside where the members of this community live. 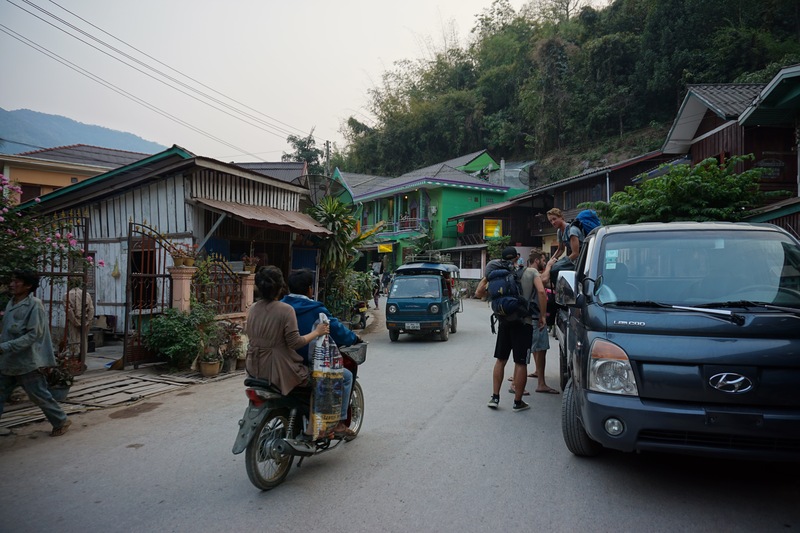 Backpackers are the tourists you’ll find here as there are definitely no resorts. 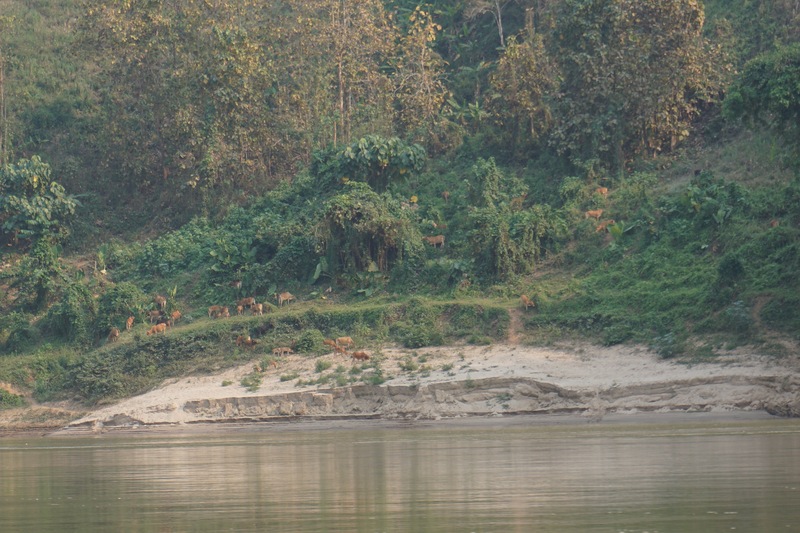 This location was the most remote and disconnected I have ever felt, almost as if I ever needed a place to hide this would be it. 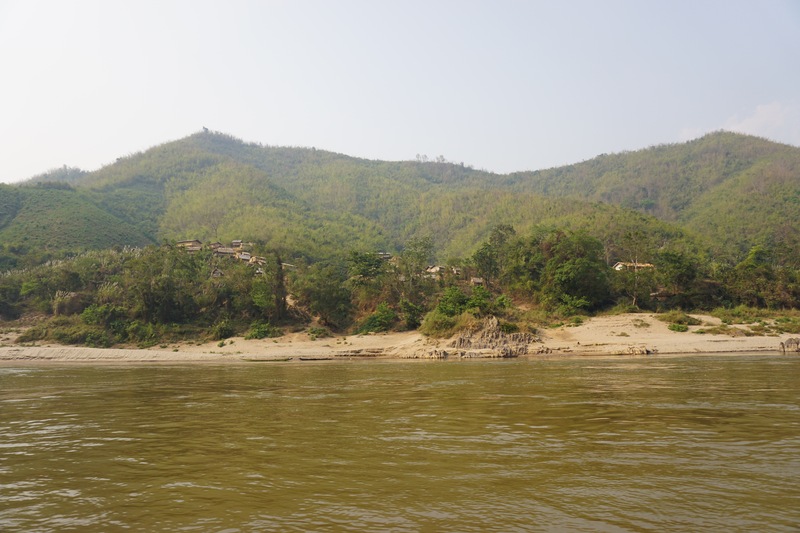 It was a very cool experience to stay here for a night, but with not much to do in the area I would not recommend it to be a vacation destination, instead more a brief cultural immersion.